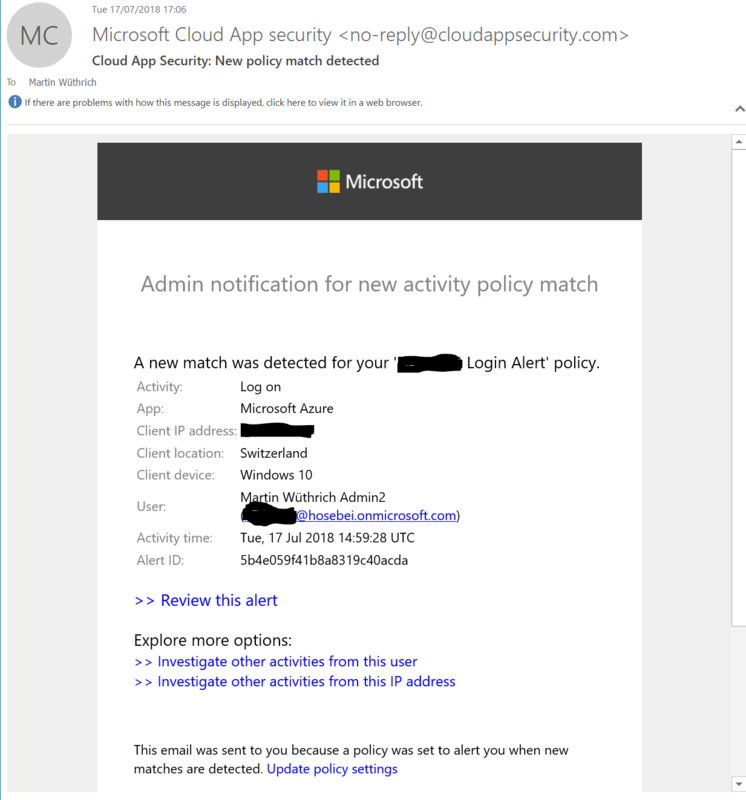 If you want to get an email Alert, if a specific Account is used for Login within Azure Active Directory, you will currently be required to use Cloud App Security. The feature Cloud App Security is included within the Enterprise Mobility & Security Suite E5 (EMS E5; source). Why you want to do this? Lets assume you have Fallback Administrator Account in Azure AD, and because they are Fallback, they are not protected with conditional Access or MFA.